Harold Rainsford Stark was born in Wilkes-Barre, Pennsylvania, on 12 November 1880. He was appointed to the U.S. Naval Academy in 1899 and graduated with the Class of 1903. In 1907-09, he served in the battleship Minnesota before and during the Atlantic Fleet's epic cruise around the World. Subsequently, Stark had extensive duty in torpedo boats and destroyers, including command of the Asiatic Fleet's Torpedo Flotilla in 1917, when these old and small destroyers steamed from the Philippines to the Mediterranean to join in World War I operations. Commander Stark served on the staff of Commander, U.S. Naval Forces operating in European Waters from November 1917 to January 1919. Following the First World War, Stark was Executive Officer of the battleships North Dakota and West Virginia , attended the Naval War College, commanded the ammunition ship Nitro and served in Naval Ordnance positions. During the later 1920s and into the mid-1930s, in the rank of Captain, he was successively Chief of Staff to Commander, Destroyer Squadrons Battle Fleet, Aide to the Secretary of the Navy, and Commanding Officer of USS West Virginia. From 1934 to 1937, Rear Admiral Stark was Chief of the Bureau of Ordnance. He then served at sea as Commander Cruiser Division THREE and Commander, Cruisers, Battle Force. In August 1939, Stark became Chief of Naval Operations, with the rank of Admiral. In that position, he oversaw the great expansion of the Navy during 1940-41, its involvement in an undeclared war against German submarines in the Atlantic during the latter part of 1941 and the combat operations against Japan and the European Axis Powers that began in December 1941. 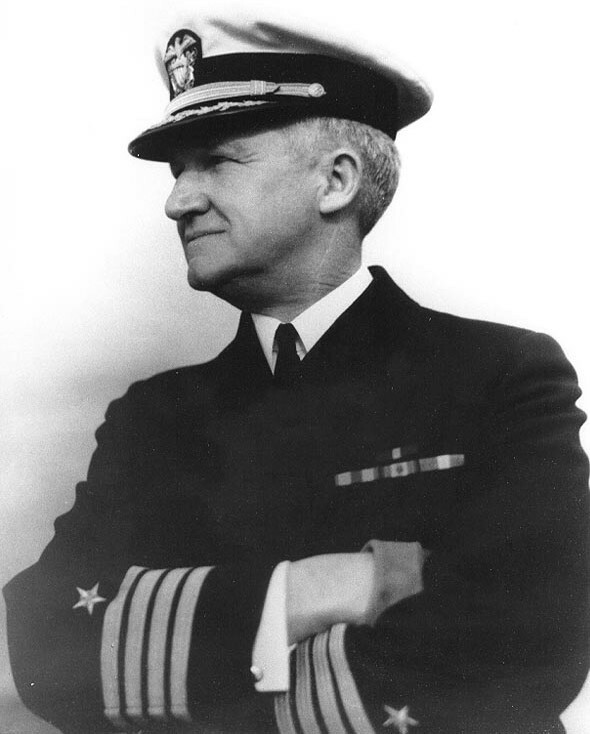 In March 1942, Stark was relieved as CNO by Admiral Ernest J. King. He went to England the next month to become Commander, U.S. Forces in Europe. From his London Headquarters, Admiral Stark directed the Naval part of the great buildup in England and U.S. Naval operations and training activities on the European side of the Atlantic. He received the additional title of Commander, Twelfth Fleet, in October 1943 and supervised U.S. Navy participation in the invasion of Normandy in June 1944. Admiral Stark's diplomatic talents were much in evidence as he built and maintained close relations with British civilian and Naval leaders, and with the leaders of other Allied powers. From August 1945 until he left active duty in April 1946, he served in Washington, D.C., and made his home there after retirement. Admiral Harold R. Stark died on 21 August 1972.